A well written defense by Markthalle IX in Berlin that sounds good but still paints a much more rosy picture of reality than is justified. Let’s be totally clear: removing the ALDI will advance the area’s socio-economic cleansing. I finally got the chance of trying out the McB, McDonald’s new ecological burger tonight after a visit to the opera. First I think it’s great that McDonald’s is doing this. It would be nice if they switched all their meat to what is at least a nominally biologically produced variety. I’ve seen people hating on it but large food producers having to shift over is a sign of victory. Read this Fortune article about the war on Big Food. Second I don’t think McDonald’s understands why it is that people eat organical food. I and many others eat it because it tastes better than the other stuff. There are other reasons to eat organically but if those were the only ones then it would be nowhere near as popular as it is now. The problem with the McB is that it’s just as bad a hamburger as you are used to eating from McDonald’s but now with a bio patty. This makes it a great burger for the staunch McDonald’s customer who was thinking of switching away because they started worrying about meat quality. For Berlin’s actual burger lovers this is irrelevant and you should just keep going to Tommi. Posted on October 11, 2015 October 14, 2015 Author alperCategories English, Food2 Comments on Trying out the McB. That week we went into our Open State board meeting where everything is picking up in pace considerably. After that I just made it to the drinks of the Upfront UG which was a lot of fun. We started ideation and building of an app for the piazza+social media platform which I’m rather excited about. More on that over on the Hubbub blog soon. I will be speaking at the Retune conference in my hometown on the subject of games with a purpose and our creative process. It looks like a super nice conference and I would love to meet you here. 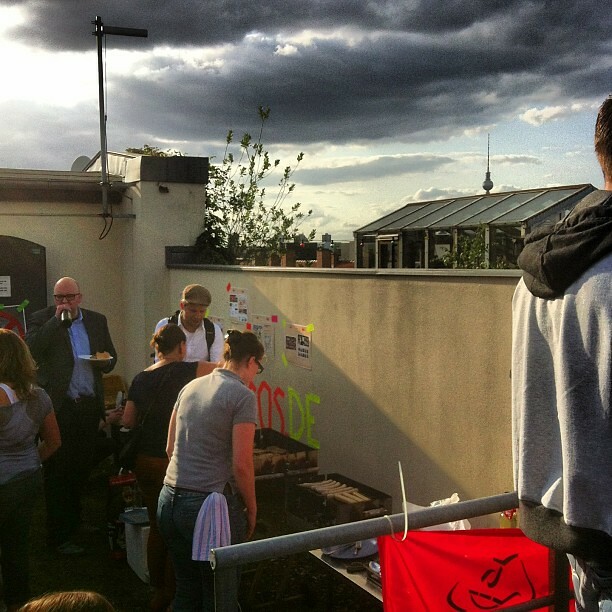 Our office landlords invited us to join them in a celebration on our building’s roof terrace. It’s been a while since I was on one of those and they look like mandatory facilities for anybody living in Berlin. I’m putting it my list of required utilities for the next KANT office. Just to prove the awesomeness of Berlin, we just had a Korean food shack opening here (besides the already rather large offering of Korean cuisine that Berlin has). 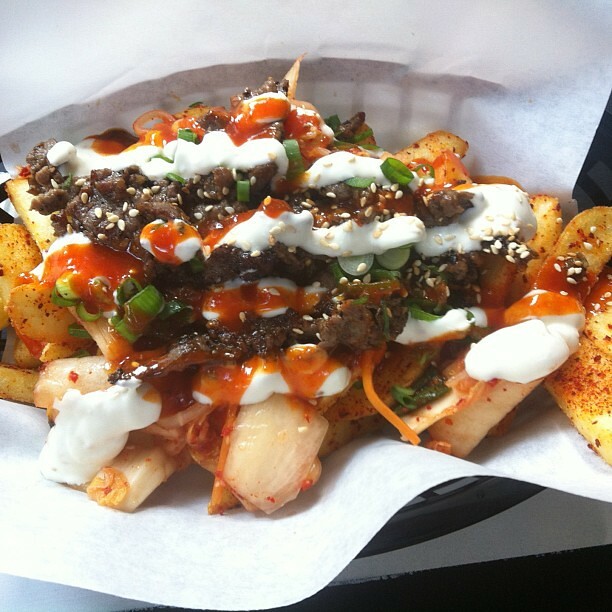 I had my first Kimchi Fries there, which I think is indeed best described as a Korean kapsalon. 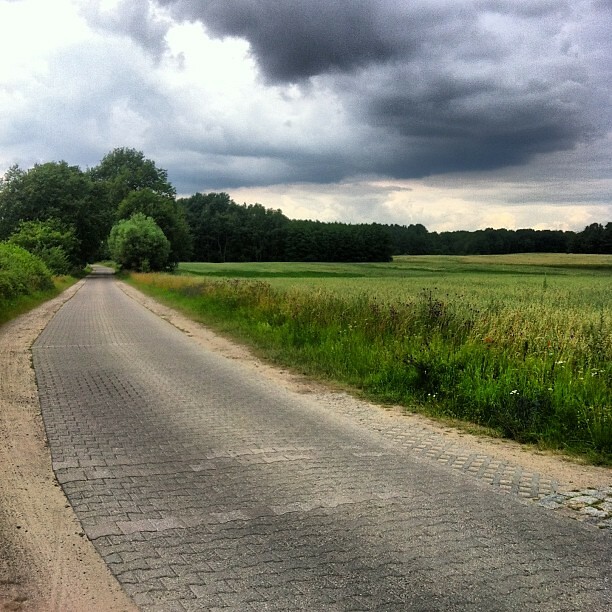 On Friday I just handled a last bit of business for the week and then went off to Mecklenburg-Vorpommern (MeckPom) for a bit of kayaking and canoeing which is about all there is to do in that part of Germany. It is a state that is trying to cope with severe shrinkage and because of its sparse population lends itself particularly well to forays into nature. I saw lots of animals and their young and definitely learned the difference between a kayak and a canoe. 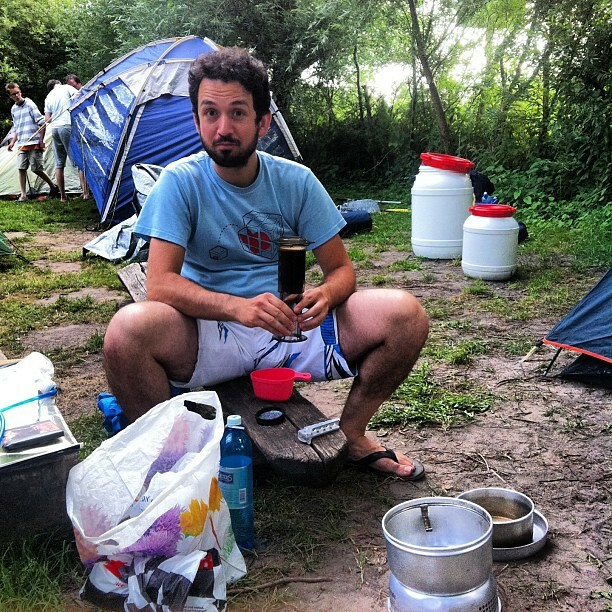 Also: bringing an aeropress can make situations much more bearable. I just read the double interview in Amsterdam Weekly with Johannes van Dam and Undercover Glutton. It is a lovely interview and their combined knowledge of food is certainly impressive. What I am a bit less impressed with is their knowledge of metropolitan cuisine. At one point in the interview van Dam extolls the culinary variety in Amsterdam and there I must take offense. I have traversed the city far and wide and I have come up empty more often than not for many a dish. Eventually I gave up and moved to warmer culinary climes. Try to find a place in Amsterdam to have a decent meal at 08:00 and you’ll come up empty. This is tied mainly with the departure of blue collar work from the city and the city getting a more languid touristy character. There’s the mad commute around 08:00, but nobody goes in for breakfast except a take-away coffee and croissant. Tied to the previous, there is hardly a brunch offering to speak of. This is a ridiculous poverty compared to San Francisco or even Copenhagen. Most Sunday’s are highly improved by this type of food, though it can also very quickly degenerate into a fad. 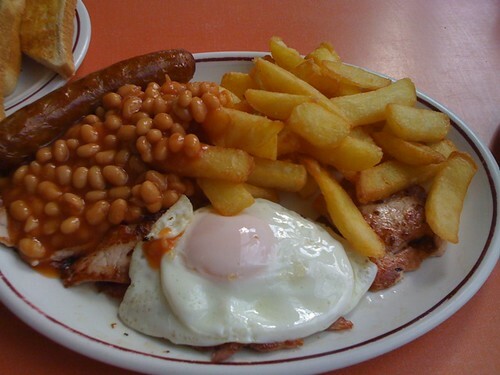 There are a couple of touristy places offering something like the Full English and there’s one lunch place that does a meagre version, but the city all in all lacks greasy spoons. The British have elevated eating disgusting things to an art and we should take notice. With the breakfast already unattainable, don’t even look for more specialty offerings such as the Scottish Egg or Welsh Rarebit. Relatedly I have not been able to find a reliable and affordable source of Eggs Benedict in the city in my years. London has recently been treated to the best BBQ this side of the pond with the opening of Pitt Cue but Amsterdam doesn’t even sport an attempt at this discipline. The festival of the Rolling Kitchens had some attempts in this direction, but the quantities were not enough for the appetite of the audience and an availability of one week a year does not amount to much. In the Netherlands we pretend that Eastern Europe does not exist, except for Polish people who we use for scapegoating or when our pipes are clogged. The Slavic treats of Borsht, Perogi and the likes, are impossible to find and in the whole of Amsterdam there is not even one Russian or similar restaurant. There is currently one location in Amsterdam that does Tonkotsu Ramen and does it excellently but it only serves them a handful hours every week. You do not need to be a nippophile to be hit by a sudden ramen craving, but you will be coming up empty. 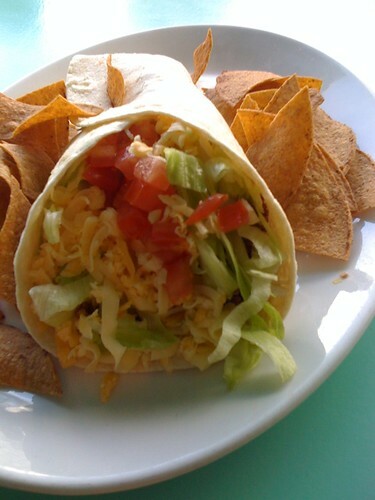 There is also now only one place in Amsterdam that does an acceptable burrito and it is swamped on Sunday evenings. It isn’t Californian, but that is a minor detail. 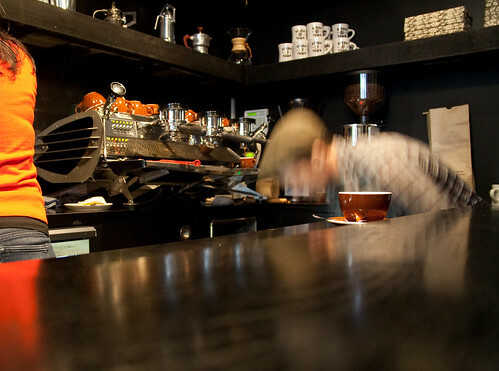 Coffee in Amsterdam has been improving and there are some players that have upped the city’s game reliably. That success has however prompted a lot of douche places that look nice, but where the coffee is undrinkable. Add to that, some places (outside of the center) ask €2,50 for a mediocre cappuccino. Kees Kraakman is about to open up North any day now which will give that area a much needed caffeine boost but overall it is not enough. 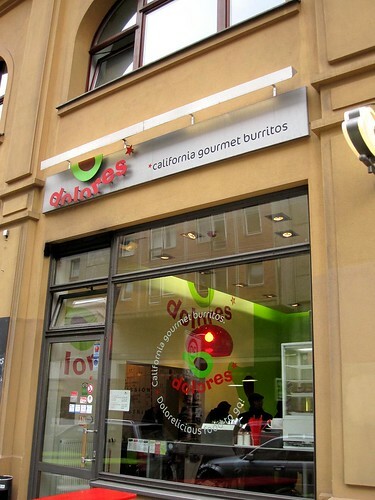 Here in Berlin you are nearly smothered in this treat at an affordable price (the same in London). In Amsterdam, they are near unfindable and expensive when you do. The general pastry situation is laughably poor compared to either Lisbon or Paris. I treated the BBQ above. I can agree about the Korean offerings which are few and too expensive. I rarely ate tapas because most taperias are ballententen. And I have never had Schezuan, so I can’t comment on that. Peter reminded me of this one, which is pretty important. I have long bemoaned the lack of a 24h diner in Amsterdam. I would take any diner by now, but for a city pretending to be international, the lack of food options for a traveller touching down on Schiphol between 02:00 and 07:00 is rather dismaying. Amsterdam is not ‘the city that never sleeps’, so much is clear, but allowing the people that don’t sleep to cater for themselves, would be tolerant for a start. This is a symptom of the Dutch mentality to create rules for everything, even the things that would otherwise sort themselves out. Dutch regelzucht nips a lot of otherwise nice things in the bud. 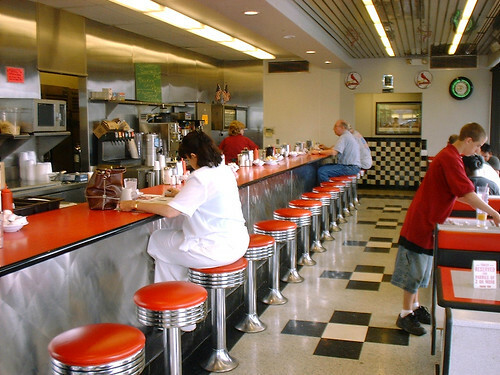 This has effects on the opening times of restaurants, but also on the (im)possibility of food carts and other displays of eating and drinking outdoors, but probably also on the ways you can prepare food and who you can hire to do that. I’m not advocating total abandon of rules here, but I am quite sure the Dutch implementation errs too far on the side of caution. The rampant inflation of housing in the city also has had an effect on culinary offerings. People paying upwards of €1200/month in rent, don’t quaff at a single sit-down dinner costing around €20 for the simplest of meals. Many of those people are new entrants to Amsterdam which is the biggest city they have experienced thusfar. These people are really nice and they mean well, but they are still hicks who are easily impressed by the trappings of the big city village that Amsterdam is. Their newfound abundance in cash and lack of taste spoils the market and makes good options for the discerning eater, harder to find. The fact that Johannes would not mention these issues and he gives Turkish charcoal grill after charcoal grill 9 marks every week, testifies to his age and his local knowledge. Most of the people I know consume food with a global or at least an European perspective and given the best there is on offer there, Amsterdam cannot compete. I know the scene is improving and ever in flux, so some of the things I have mentioned above may no longer be true, but I haven’t even been gone two months yet. Additions and discoveries are of course welcome here or via more private channels. I witnessed a discussion yesterday that stated that for creative industries to catch root in a certain area there is the need for trendy coffee shops. While that is a necessary condition indeed, it is not sufficient. The coffee produced in said shops also needs to be of excellent quality or at least miles better than whatever most stores in the Netherlands are pouring. The lovely folks over at BERG also have a post about it. I was already in the habit of starting my mornings drinking the best coffee in Amsterdam at Stumptown and would regularly chat with the mayor. After planning some morning meetings there, getting an early start, drinking great coffee and having a good conversation with people you’d normally not talk to, proved to be a good idea. So I opened a collaborative document with my free spots to see if people would be interested in meeting. Early, just for coffee and just for an hour. This is going quite nicely so far, and I’m going to see if I can fill it up for the entire duration of Stumptown’s run here in Amsterdam. 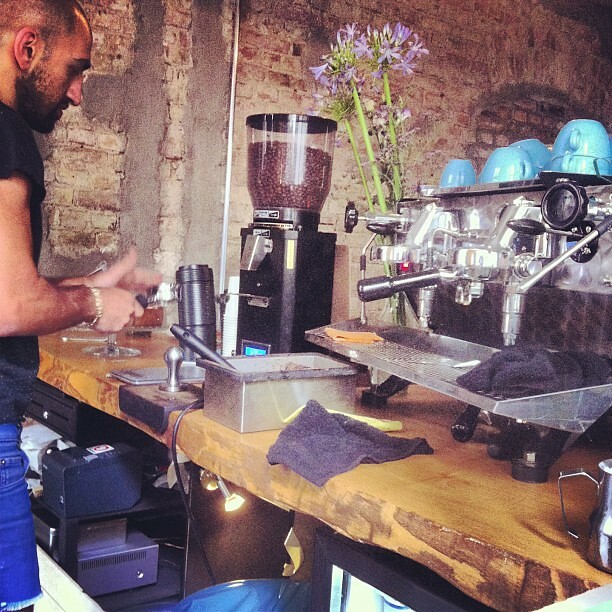 Via Johan Schaap kwam ik op het spoor van een popup store van Stumptown Coffee Roasters hier in Amsterdam op de Albert Cuyp (4sq). I’ve gotten to really know the city. But I’ve tried to find good coffee, and it’s been challenging. It’s way underdeveloped compared to the U.S., or even London or Scandinavia. Dat is serieus waar. Mensen hebben hier geen smaak of budget voor goede koffie. In de meeste café’s krijg je een verbrande halve kop espresso, met enkele goede uitzonderingen. Het personeel (‘baristas’ hebben we hier niet) neemt het werk ook niet serieus en is niet ontvankelijk voor constructief commentaar. Laatst bij de Koffiesalon kreeg ik van de jongen achter de bar triomfantelijk “nog een beetje extra melk” in mijn kopje gekwakt. De koffie die je uitserveert is goed, of hij is het niet. Rot op met je extra beetje melk. Ik verheug me op mijn eerste bezoek aan Stumptown. Het moet wel goed zijn. Slechter kan in elk geval niet. Ik ben er geweest en de koffie is er inderdaad fantastisch. Nu maar hopen dat ze blijven. Ik hou van veel en lekker eten en ik merk dat ik daarmee in het buitenland beter terecht kan dan in Amsterdam. Hier een paar restaurant-tips die voor mij in Amsterdam ontbreken en waarvan ik denk dat ze weleens een succes kunnen worden. Mochten ze al bestaan dan hoor ik het graag. Mocht iemand ze willen beginnen dan zou ik het erg op prijs stellen. 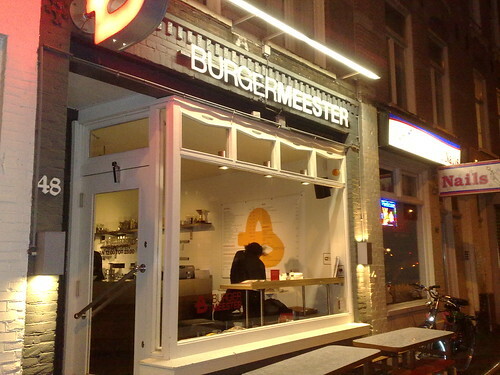 De Burgermeester is mijn voorbeeld van zo’n niche in de Amsterdamse horeca die niet bediend werd. Hier is recent de Burgermesteer geopend en deze loopt nu prima. 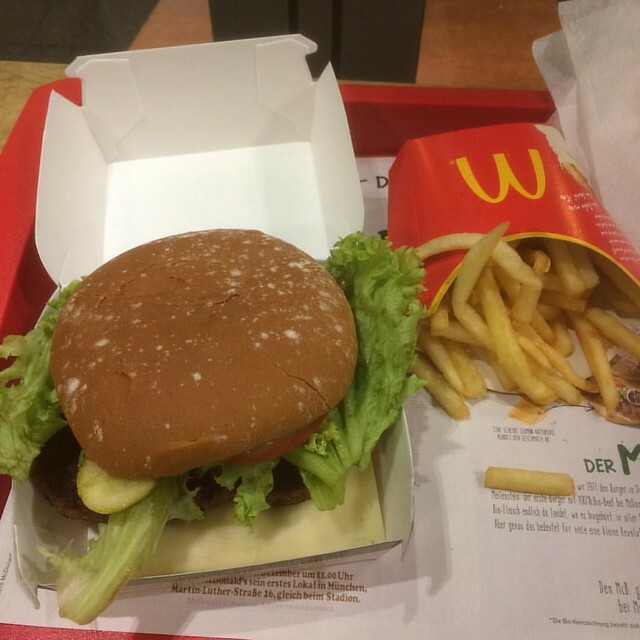 Voordat de Burgermeester er was, moest je heel goed zoeken in Amsterdam om een grote culinaire burger te kunnen vinden. De burger had hier blijkbaar teveel een fast food associatie en was verplicht smerig. Succesvoorbeelden uit het buitenland genoeg en dan in het bijzonder de Burgermeister, Marienburger en Kreuzburger-achtige tenten in Berlijn. Je ziet ze heel veel in Californië en Texas, de taquerías waar je voor weinig geld een goed gevulde burrito met vlees, bonen en rijst met daarbij hete sausen, guacamole en nachos kunt krijgen. Er gaat geen dag voorbij dat ik niet aan een burrito denk. Toen ik in San Francisco was at ik het ongeveer om de dag. Als ik er ooit heen zou verhuizen, zouden de taquerías een belangrijke reden daarvoo zijn. In Europa bestaat er al een imitatie in de vorm van Dolores vlakbij Alexanderplatz in Berlijn. Kenners vinden het misschien niet vergelijkbaar, maar het is heel fijn om in de Duitse winterkou dit stukje Californië tegen te komen. In Amsterdam is er bij mij in de buurt de Taco Shop die ik nog moet uitproberen, maar meer keuze zou niet gek zijn. Update: The Taco Shop uitgeprobeerd en deze was best ok en ook goede prijs/kwantiteitsverhouding. Geen burritos verpakt in aluminiumfolie zoals ik gewend ben, maar goed te eten. Volgende keer de Chimichanga bestellen. Meestal moet ik er niet aan denken om na het uitgaan complete burgermaaltijden of stacks van pannekoeken met maple syrup weg te moeten werken, maar als het dan ergens kan, dan in het comfort van een mooie klassieke diner. Soms heb je gewoon laat nog honger en trek in lekker eten. Daar is in Amsterdam nog steeds moeilijk aan te komen. Waar ga je heen na 0:00 voor niet-shoarma of patat? Ik denk dat één diner-achtig restaurant wat 24 uur per dag open is ergens in het centrum, op heel veel bezoekers kan rekenen. 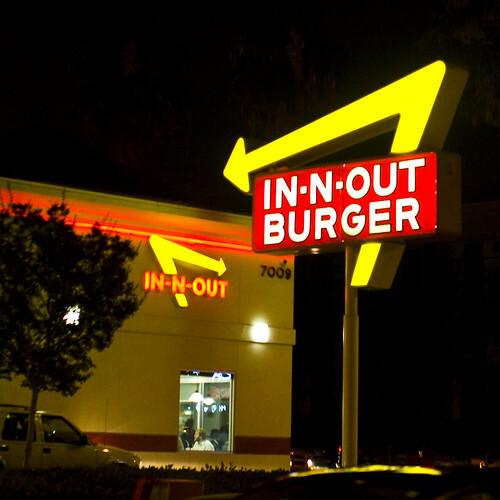 Het ‘gezonde’ fast food van de In ‘n Out Burger heeft als West-Amerikaans fenomeen een allure die moeilijk uit te leggen is. Feit is wel dat de burgers en de frieten er heel lekker zijn en dat het een sympathiek concept is tussen de grote ketens in de Verenigde Staten. Pas in Shepherdess Cafe in Hackney het klassieke Engelse eten geprobeerd en dat was een succes! Alleen zó jammer dat we dat hier niet hebben; niet een goede plek om Engels eten te eten, niet een serie greasy spoons en eigenlijk helemaal geen plaatsen waar je voor £7 ( = €7) kunt zitten en lekker veel kunt eten. Ik denk dat deze concepten mits goed uitgevoerd grote successen kunnen worden en in de meeste gevallen niche-vullers zullen zijn (zoals de Burgermeester nu is). Dus een slimme restaurateur kan hier zijn slag slaan en mijn buik vullen. Of moet ik toch naar San Francisco verhuizen? My friendly neighborhood night store will gladly give me a plastic bag for every item of shopping I buy from them. This is pretty thoughtful and at the same time also pretty short-sighted. Now there seem to be some places in the world that have banned plastic bags though I’m not sure which ones. It is a pretty contentious issue. It seems to be difficult or something but it’s not exactly clear why that is. We’re one of the technically most advanced societies in the world and we can’t live without plastic bags? I wasn’t very hungry so instead of my regular döner I got some green pistachio baklava. This stuff is so ridiculously delicious it explodes into pure sugar and pistachio in your mouth and it fills you up pretty fast. I don’t get why you would buy mass-produced candy from the supermarket. If you want to get fat, why not get fat eating good stuff? 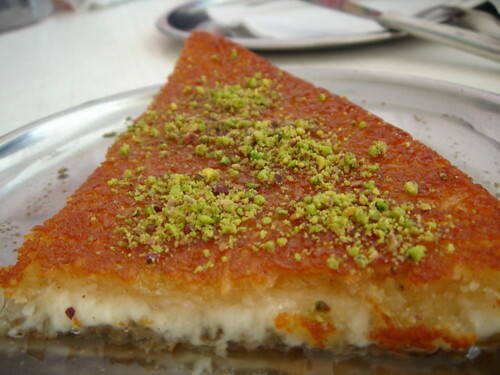 Now if only I could find a place around here that sells künefe, things would get really crazy.